An Indian foodie’s experience of British food in London vs same dishes available in India. This is one place where grabbing a table always seems to be time consuming – u can mostly see a queue outside the Restaurant. 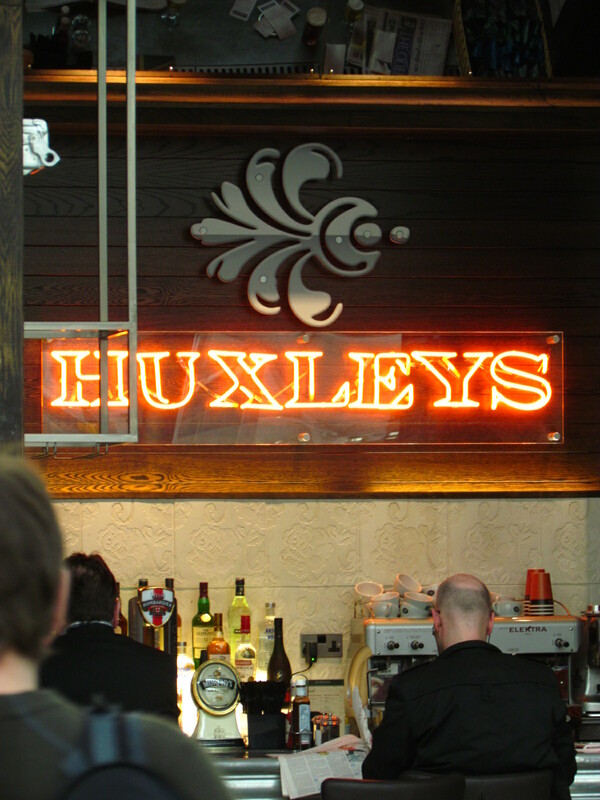 This time we got a chance to get in & try the food without having to wait in a long queue. We chose the basics & not fancy dishes to see how they taste in London vs. say in Delhi India. The ambience is good inspite of being a bit dark in some corners. 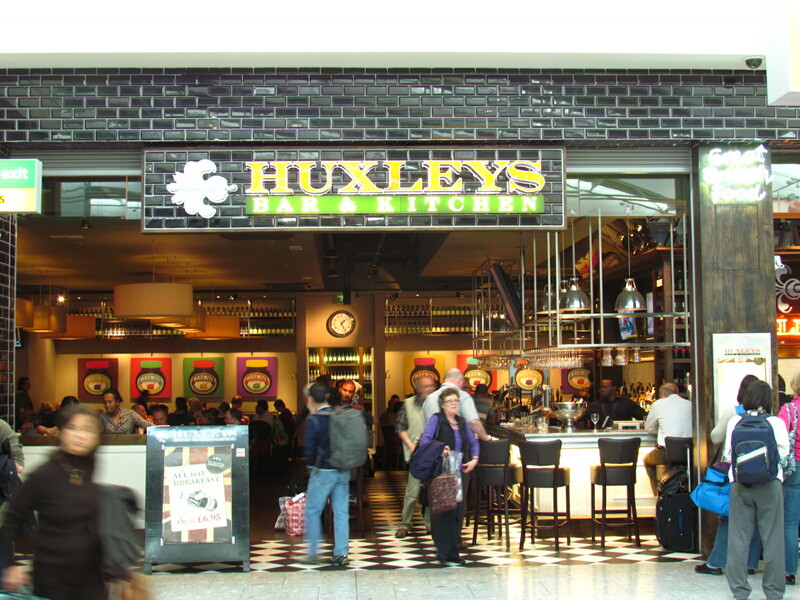 There is a bar on one side & one can choose to sit at the bar as well. 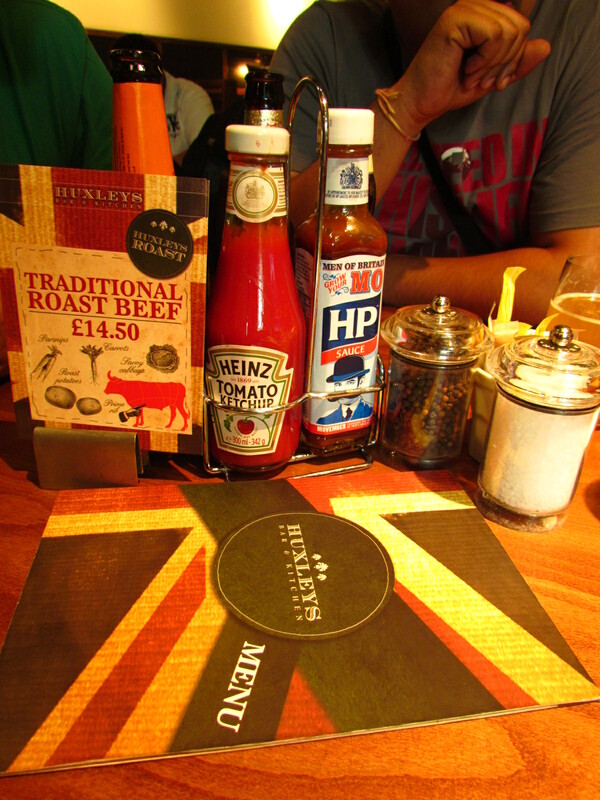 The menu card is self explanatory – so one does not need to ask too many questions to the person waiting on. We were lucky to get a very warm & helpful waitress. Food was good overall & some of it was excellent. Since we were a bunch of friends, we decided to order 4 dishes & share the same. 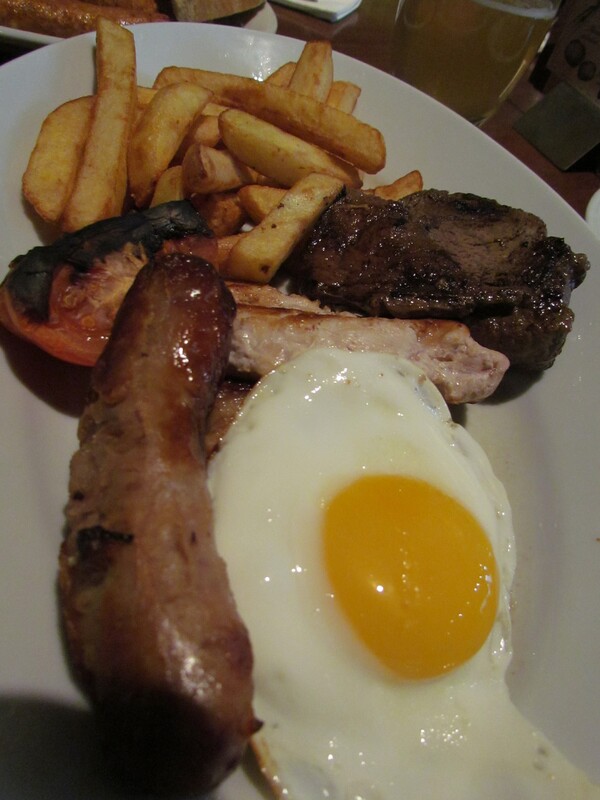 Since one of our friends was vegetarian, we ordered a Vegetarian breakfast platter – It had a sausage looked somewhat like a mince meat sausage but not exactly. It was made with substitute meat & honestly quite bad to taste. Grilled Mushrooms were just about ok ok. Not bad not great either. 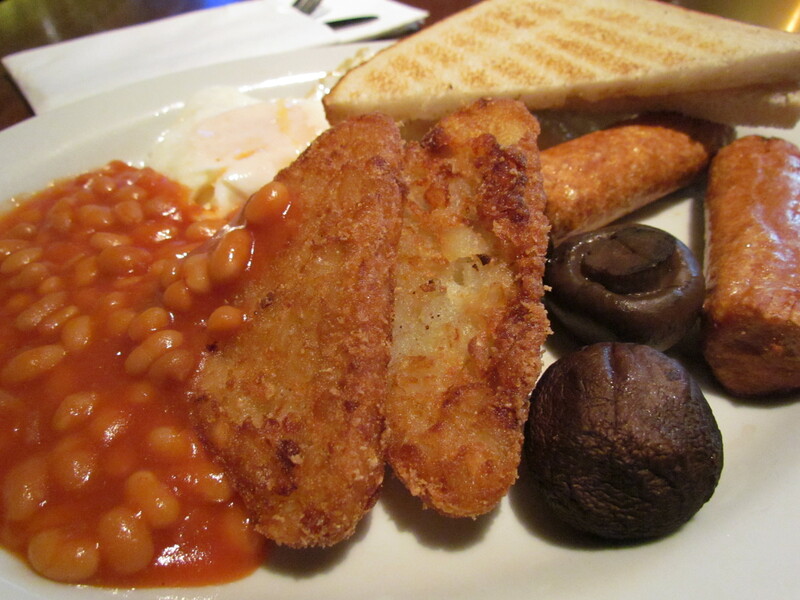 Sunny-side-up eggs were good obviously.Baked beans were like ‘good baked beans’ available in India – as good as u can expect. Hash Browns (looked like aloo patty) were crispy outside & uneven inside – very interesting & good. The version served in most places in India is different. Inspite of the few flaws, my vegetarian friend liked the platter as maybe he wud have expected worst than this outside India. Something which everyone else loved was chicken pate with onion chutney. Pate had a set cheese topping. I was wondering how it was paired with the ‘onion’ chutney. Cud not figure out the onion in the onion chutney. Infact, it tasted like any other sweet Indian chutney. This was served with wholemeal brown bread that was crisp toasted. Loved the pate as it is & also with the bread. Excellent pate but with no twist. 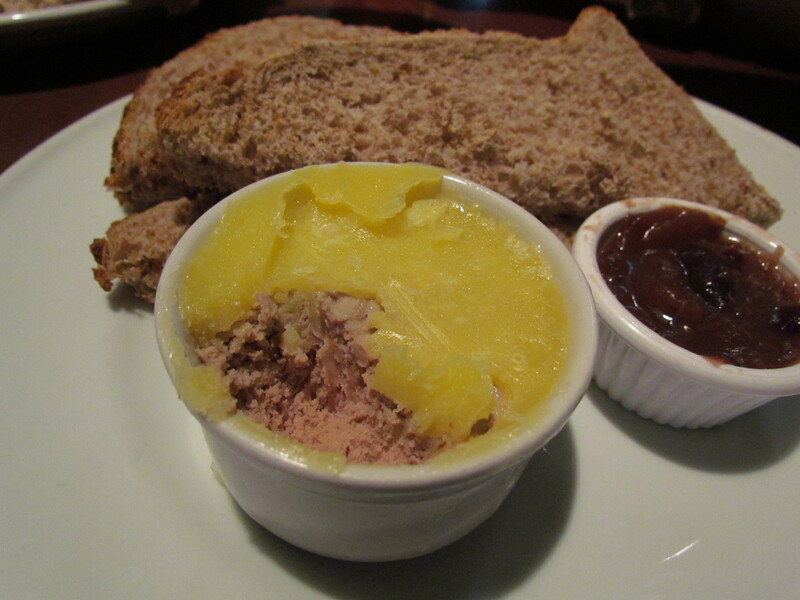 Finally I also tried the pate with chutney combination – it was actually interesting but not wow. 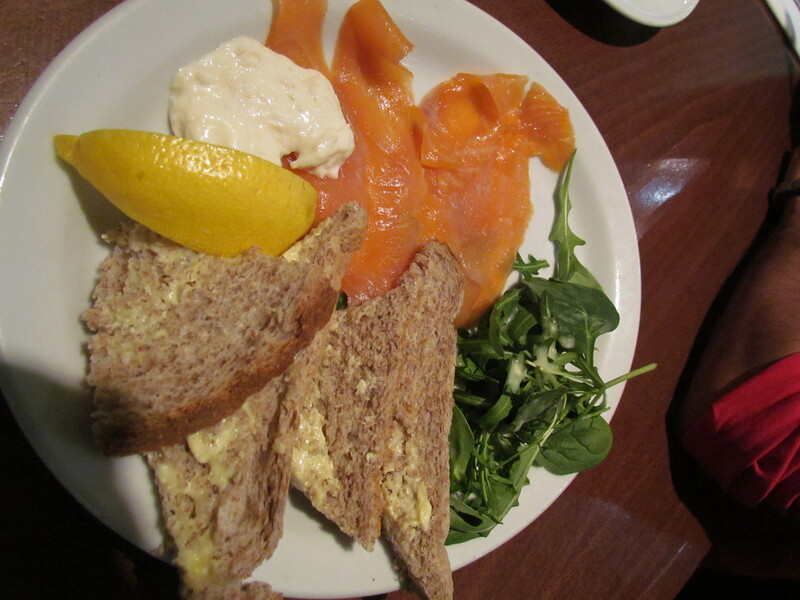 Post this we had an outstanding ‘Slices of Oak Smoked Scottish Salmon,Rocket salad , Creamed Horseradish & brown bread’. The Salmon was very very good, exactly the way expected, soft, flavored, tasty &no twist. It appeared to be a bit ‘fishy smell’ for some of my friends who were not used to eating Smoked Salmon. Creamed Horseradish was pungent & subtle at the same time – I cud sense the pungency of the Horseradish but then it was well tamed. Loved it. The 4th& most interesting dish was mixed meat grill – It had a medium done Beef steak that was soft, not chewy, quite juicy, had appropriate salt & was overallvery tasty. The Chicken grill had no major marination & was Ok to taste (not good, not bad). It was a bit lacking in salt. Also in the platter was Gammon steak – wiki says ‘Gammon steak, is meat cut from the thigh of a hog (usually smoked)’. Ours turned out to be a pork slice with a thick layer of fat on the outside. The taste of the steak wasreally interesting – really really soft & juicy layer of fat was superb. It was a bit high on salt the way many preserved meats are. The Sausage was too good as well – very distinct flavor & great taste. Felt like the meat was hand pounded. 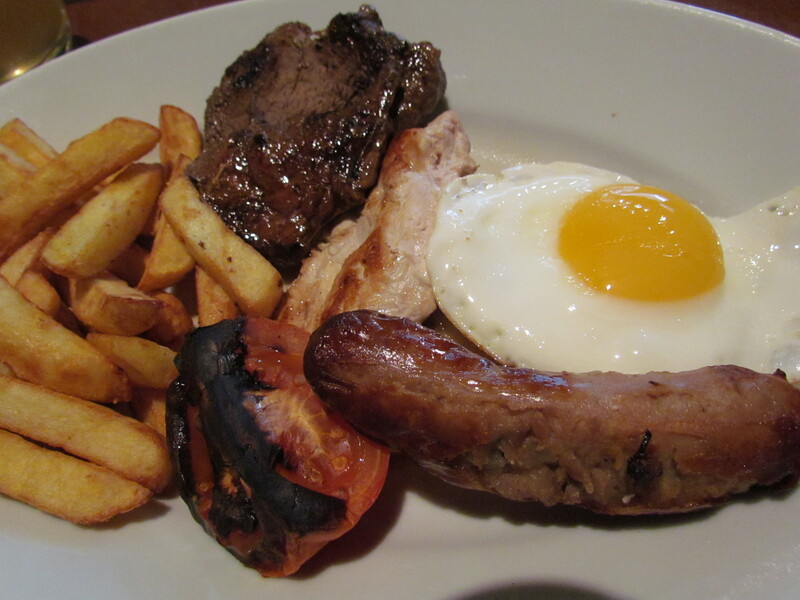 Sausages at Wetherspoon in London Heathrow Airport were however better than these. All this was served with Roasted Tomato & Grilled Mushrooms. The Tomato was over grilled to the extent that it turned black & there were traces of ash on the corners. I don’t think it shud have been served. Grilled Mushrooms were OK OK again. The Potato wedges were bland but crispy. Sprinkling of salt did the job – gave a new lease of life to the bland potatoes. 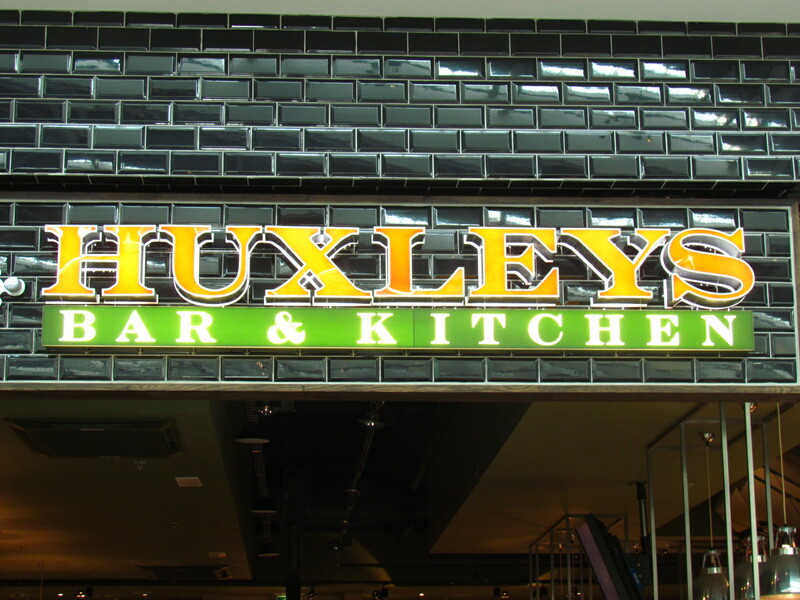 Food here was overall enjoyable & not very bland like the experience in Wetherspoons Restaurant in London Heathrow Airport last time. Enjoyed the food & will surely revisit.